Histography from Matan Stauber on Vimeo. “Histography" is interactive timeline that spans across 14 billion years of history, from the Big Bang to 2015. 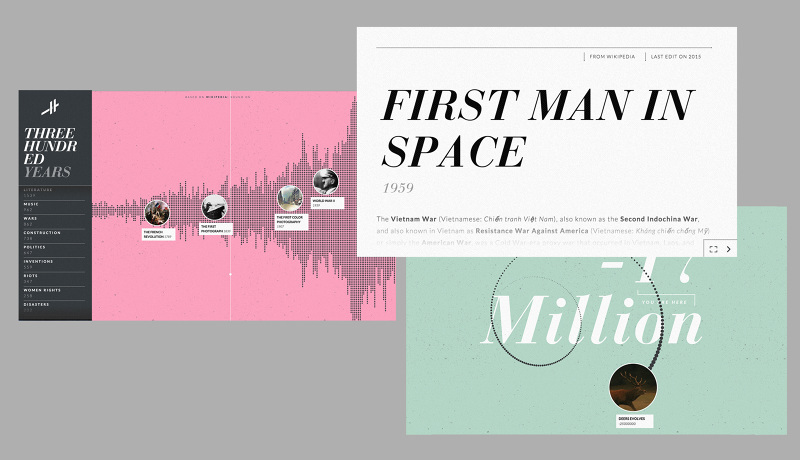 The site draws historical events from Wikipedia and self-updates daily with new recorded events. The interface allows for users to view between decades to millions of years. The viewer can choose to watch a variety of events which have happened in a particular period or to target a specific event in time. For example you can look at the past century within the categories of war and inventions.